Mario Badioli and his son Francesco are one of the most passionate and innovative contemporary glass artists in Murano, Italy. The work of Murano glass by Badioli honors the ancient tradition of Murano art glass making. At the same time Master Badioli gives a modern twist to his art glass creations (very famous Picasso Heads). 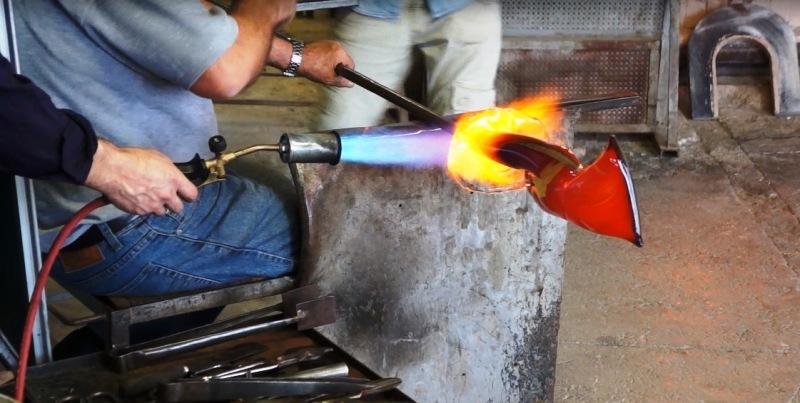 In the last century glass artists in Murano through experimentation discovered new ways of mastering the glass. Mario Badioli discovered new shores through playing with sand and fire creating a universal language of art glass. His artistic creations give body to the imagination through spectacular colors and shapes. Mario Badioli began his career in the early 1950s at a furnace in Murano. The world of ancient art glass making, its secrets, charm and creative atmosphere mesmerized the young Badioli. 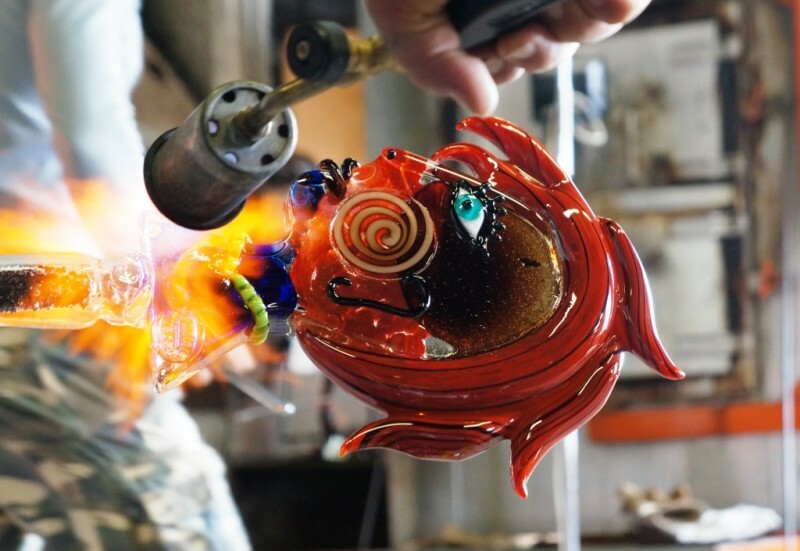 Mastering the art of glass-making became not only his profession, but passion. He gave form to his emotions by working the liquid glass, giving tears, joys, sacrifices and love with every move he made. Mario Badioli decided in the 1960s to establish his own furnace, where he could let his creative imagination to run wild without any restriction imposed by society. Having his own furnace made him better understand the art glass market itself, the changes of customer taste. He started producing unique pieces in small quantities that reflected not only his vision but the understanding of his customers. 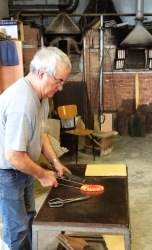 Mario Badioli has perfected a particular method of applying colour by “slapping” and “dripping” hot coloured glass over clear. In this way, he “paints” his pieces, each one unique. Mario Badioli is a visionary, who likes to test his own limits and push boundaries. In 2014 Mario Badioli decided to collaborate with MuranoGlassItaly in order to show his art glass master pieces to a wider European audience. Thanks to this collaboration it is possible for you to see and buy Mario Badioli”s work online on MuranoGlassItaly. The first collection selected for online sale is the Venetian Picasso collection. The Venetian Picasso collection is a true representation of Mario Badioli ‘s virtue of art glass. The different pieces of the Venetian Picasso Collection are available in limited numbers only to ensure the uniqueness of the collection. If you wish to buy Murano glass by Mario Badioli is available for sale on MuranoGlassItaly.